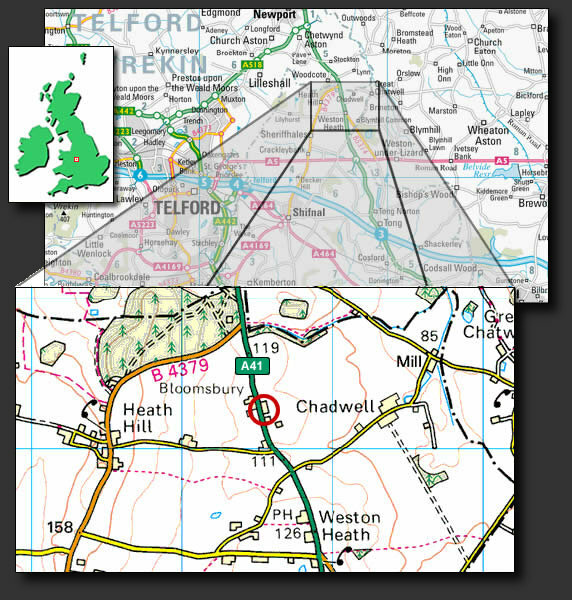 From junction 3 on the M54, head north on the A41 towards the A5. At the roundabout with the A5 stay on the A41 still heading north. Continue for another 3 miles, and we are on the right.